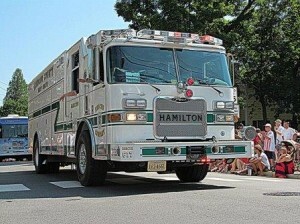 Hamilton hosts one of the only Type III Heavy Rescues in Loudoun County. 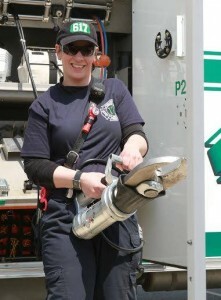 It is 35 feet in length and stocked with abundant supplies to support responses to a large variety of incidences: numerous tools for vehicle extrication, such as Hurst Tools (sometimes referred to by the public as ‘Jaws of Life’) and heavy-duty struts to stabilize cars and trucks; tools for firefighting, such as Halligan bars and axes; rope rescue equipment, water rescue supplies, and much more. 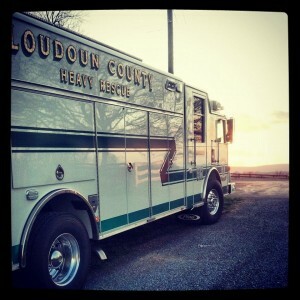 As a Heavy-Duty Rescue truck, the squad serves two purposes: extrication and fire-fighting support. This means that it can respond to emergencies such as a structural collapse as well as to car accidents or house fires. On car accidents the squad supplies equipment to stabilize vehicles and gain access to trapped patients. 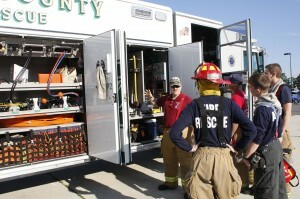 On house fires it can control utilities and rescue severely trapped citizens and firefighters. 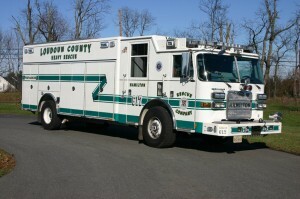 Additionally, the truck also goes on calls for trench rescue and heavy machinery entanglement.